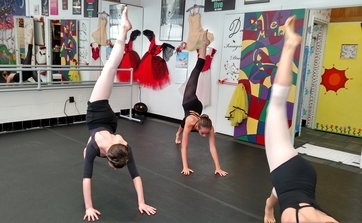 *Please call 410-382-1377 to confirm a Saturday drop-in class at the Center. 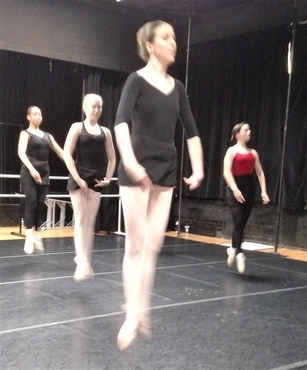 We might be on the road! 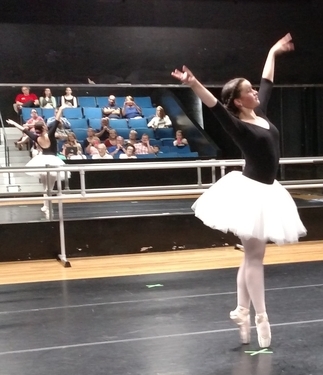 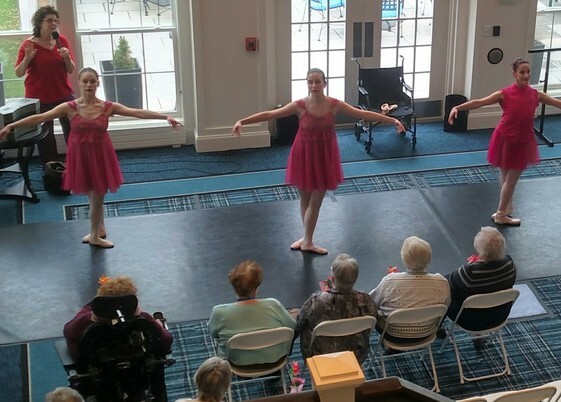 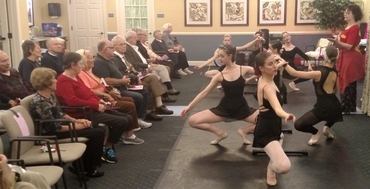 Recital Saturday evening, June 15, 2019, 6:00pm. 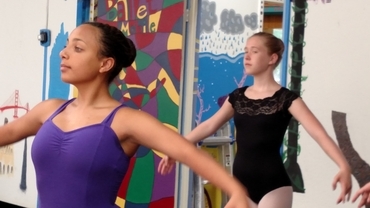 Summer Classes begin June 27. 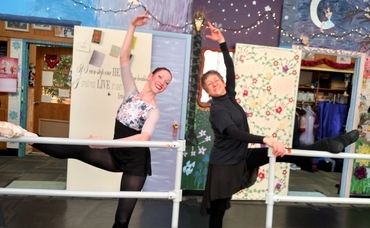 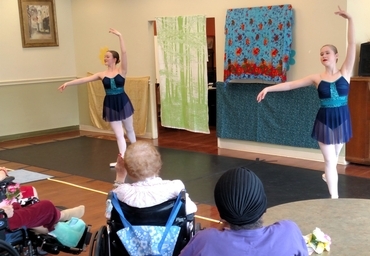 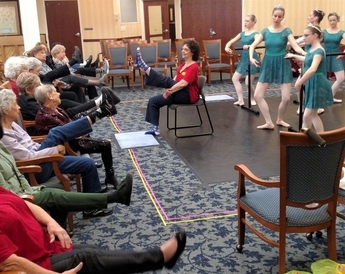 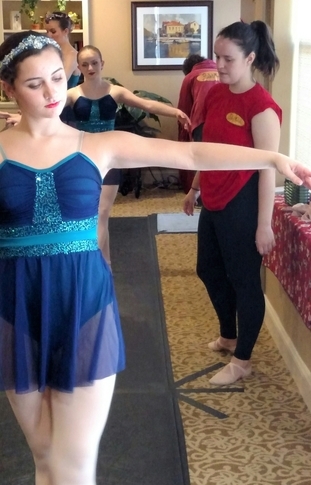 Renée Meyer teaches most Ballet Mobile classes, integrating healing strategies into her lessons. 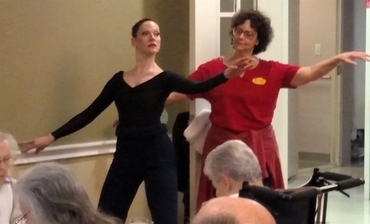 A professional dancer, she learned from Ballet Russes Roman Jasinski and Moscelyne Larkin, Robert Joffrey and his faculty, and "Papa" Ted Shawn and his legendary peers at Jacob's Pillow. 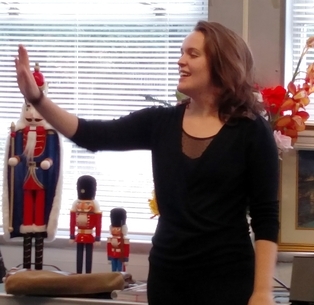 With advanced degrees from Williams College and the George Washington University, Renée specializes in accelerated adult learning techniques. 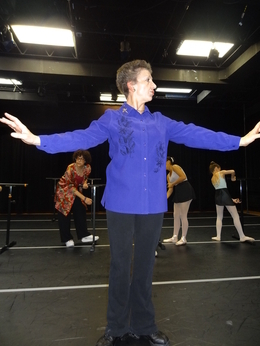 Susan Moore mentors all Ballet Mobile dancers and specializes in teaching pointe and dancer-oriented strength training. 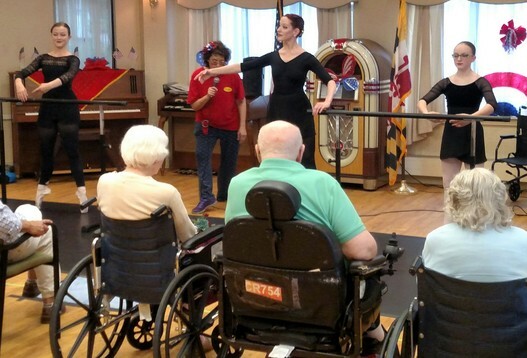 A gifted artist, her original drawing inspired the award-winning Ballet Mobile Kinetic Sculpture in the 2015 American Visionary Art Museum Baltimore race. 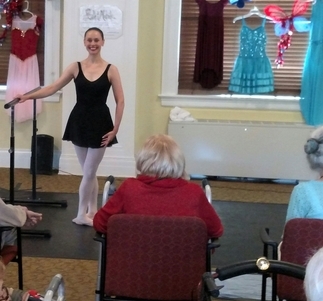 Sarah Whiteford is a graduate of Rider University's Musical Theater program. 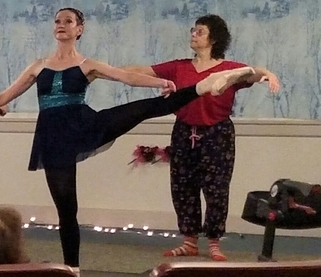 She teaches jazz and show dancing. 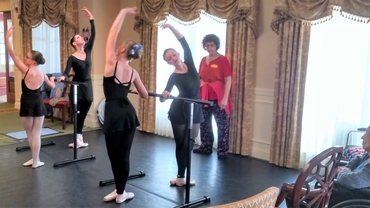 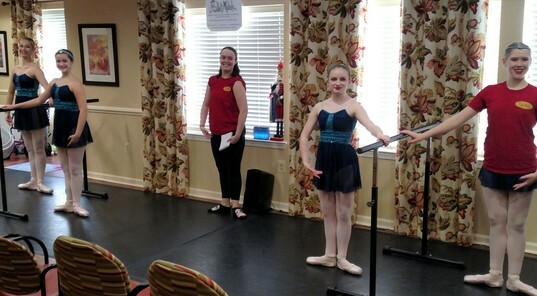 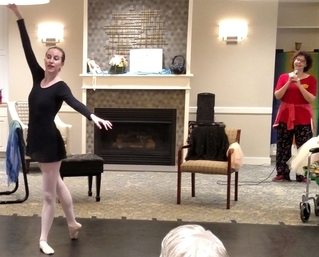 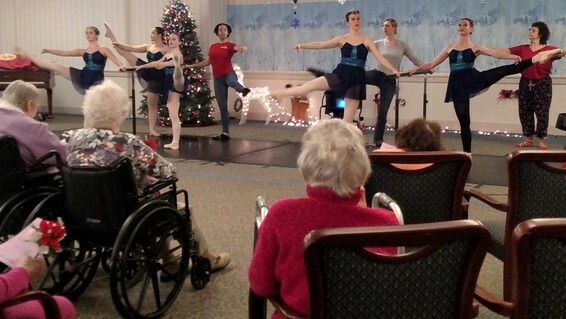 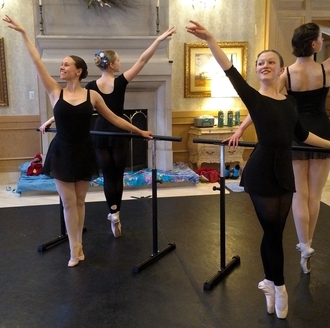 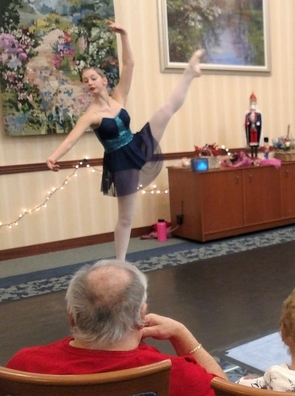 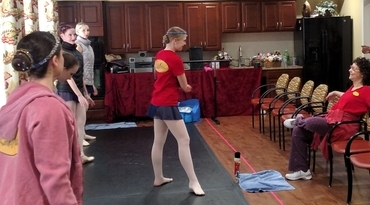 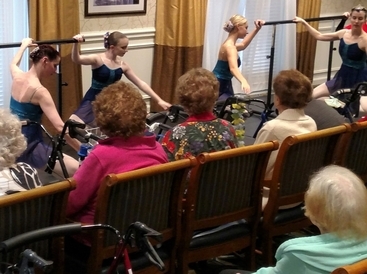 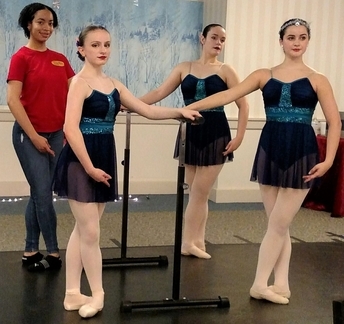 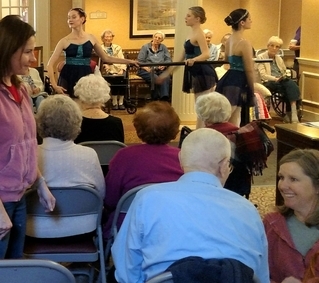 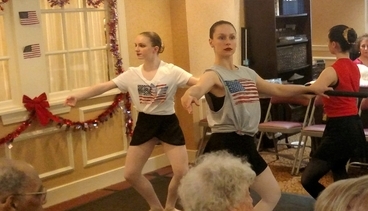 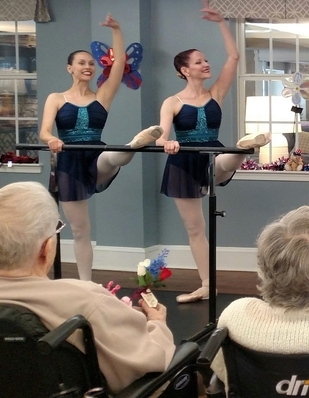 Performing and choreographing in and around Maryland, she is Ballet Mistress at many house calls. 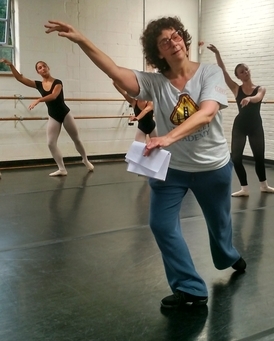 Angela Walker regularly commutes from Kansas City, Missouri to choreograph and teach. 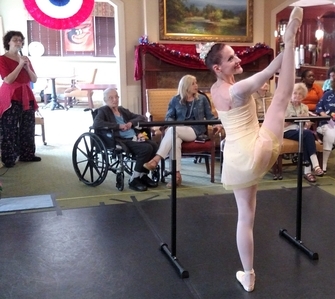 Angela was a Kansas City Ballet dancer, studying and performing at Harkness in New York City and around the world throughout her military career. 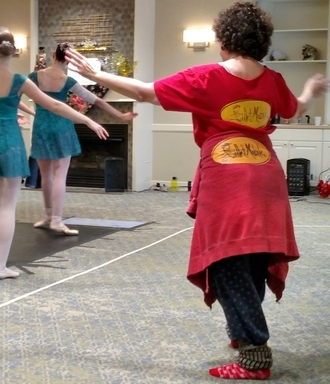 Atelier is a French word meaning an artist's workshop or studio, a place in which the art itself, the artistic work, and the artist are perpetually molded, shaped and nurtured. 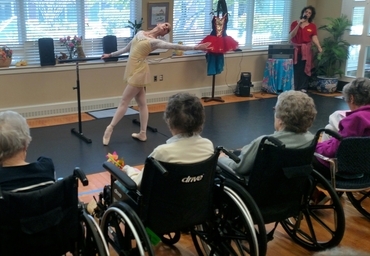 It best describes Ballet Mobile's environment and ethos. 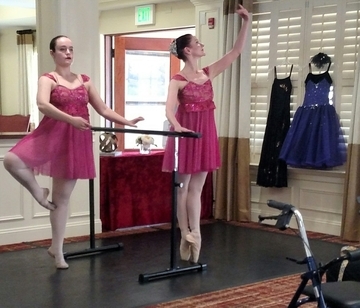 Ballet Mobile transforms any room into an artistic venue. 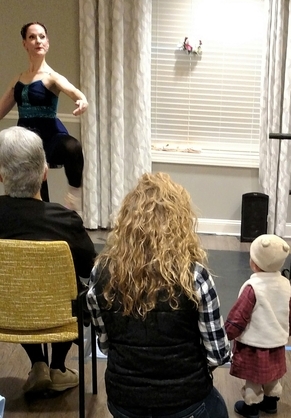 So too does ABC offer the multidimensional discovery of the artistry itself - whether in Studio 18 at the Howard County Center of the Arts or at one of our venues. 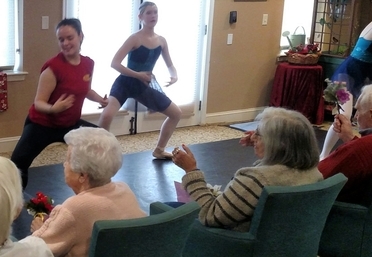 "Whenever I watch them dance, I try not to cry because what they do is so beautiful." 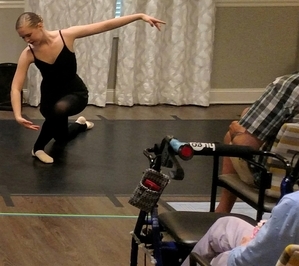 "I cannot believe what these people are able to do and how much they love it." 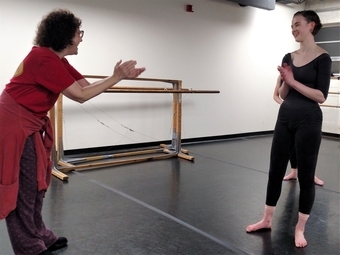 "Every time I watch, I am revitalized." 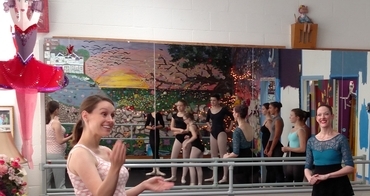 "All of you deserve standing ovations." 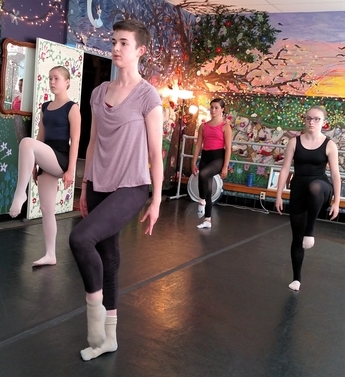 "I think I learn as much as they do every time I watch." 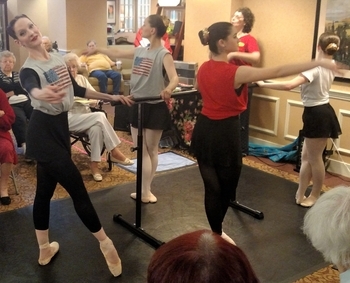 "What a golden opportunity for these dancers - and for all of us." 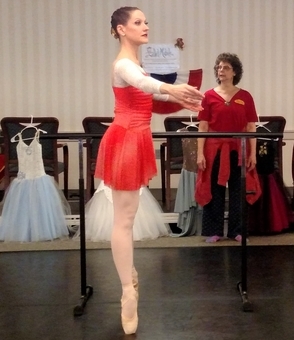 Ballet Mobile's Atelier de Ballet Classique is able to offer scholarships and superb ballet training at modest costs, thanks to the generous contributions of Ballet Mobile Archangels and Angels who have directed their donations to ABC in honor of the following women.